It becomes apparent they're being sold out, and suspicions quickly turn to Sefton, a gambler and conman who's managed to amass a small fortune in cigarettes and other items. It's clear to the audience that it isn't him, if for no other reason than it's too obvious, but I found the other characters' reactions believable. 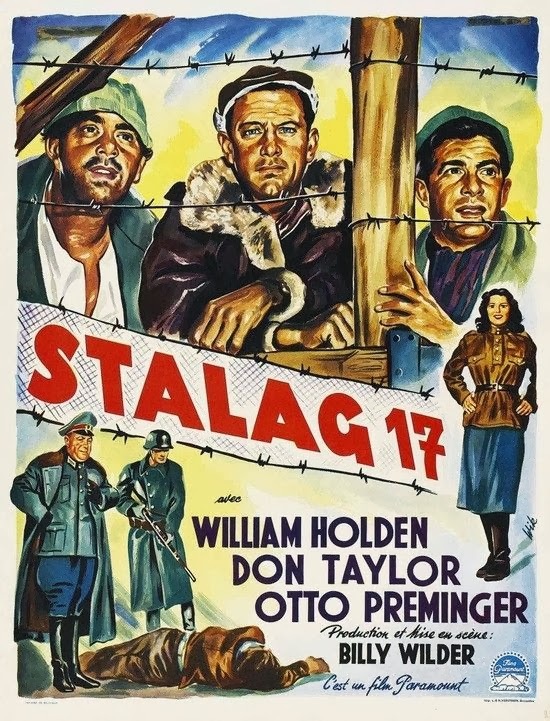 Things escalate when they're joined by a lieutenant who operated as a saboteur in Germany before his capture. This is leaked to the Nazis, and the situation escalates into a game of cat and mouse as the Nazis struggle to gain the information they need to prove his guilt, Sefton works to uncover the traitor, and the others - largely convinced of Sefton's guilt - seriously consider murdering him. There's not a huge number of Christmas tropes in the movie, though it uses the holidays as a constant time table and backdrop. There's also a holiday party which plays on the darkly comedic nature of the characters. The reveal was fairly satisfying, as well. There were a handful of possible ways they could have gone, and they didn't take go with anything absurd or obvious. The movie did include a handful of over-the-top choices, though. The Nazi guards were ridiculously stupid, and the actual security seemed pitifully inadequate - couldn't they have just rushed the guards and taken their guns? In addition, the plot required a character remaining waist deep in a water tank for several days and nights in December and not dying of hypothermia. But overall this was a great movie. It was very focused in scale, which allowed for some good character work (though some of the comic relief got old by the end). It deserves its status as a classic Christmas war film. If you're not a fan of older movies, however, you'll want to avoid this one: it's certainly not paced like a modern film.